Don’t miss out on my other Italy posts! Our last day of skiing was the best yet. It was heavenly out there with all that fresh powder! 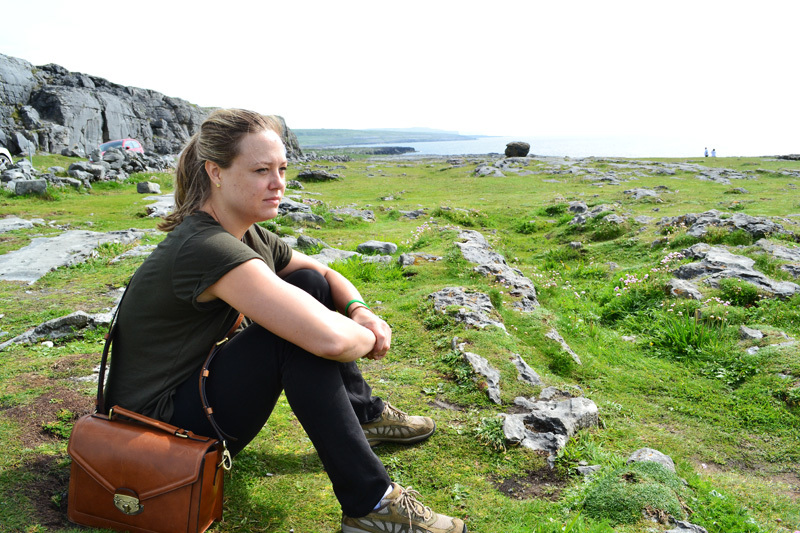 We were reluctant to call it a day but we were absolutely exhausted. Immediately after returning from the slopes, we quickly showered, changed, and packed the car to the brim with our luggage. It was time to leave! Goodbye Selva, we will miss you :-(. With a 5 hour drive ahead of us, we had some stops planned along the way. As the sun began to set below the peaks of the mountains, we drove through the dips and turns of the Val Gardena roads to the next town over. The town is called Ortisei di Val Gardena in Italian, St. Ulrich in Gröden in German, and Urtijëi in the native language Ladin. 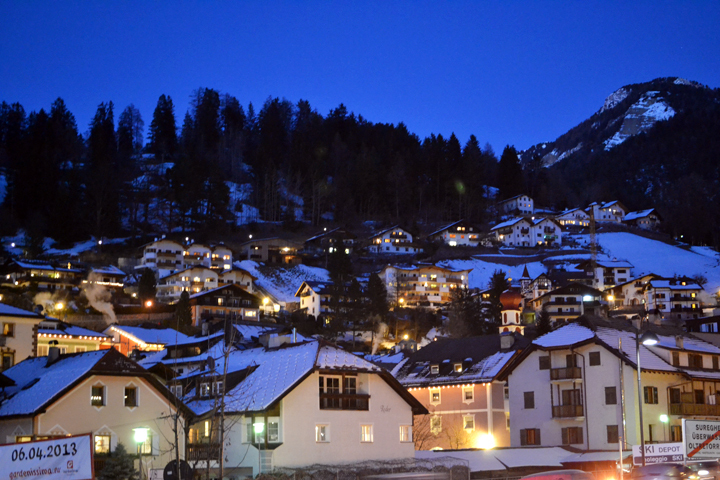 The towns of Val Gardena have many names! As soon as we got out of the car, the sun was gone and the temperature had dropped significantly. It was freezing! Once we started walking, I was warmed by the activity and cozy glow of the town. Beneath the snowy peaks and frigid air, sturdy buildings with German architecture and fine wood emitted a warm yellow light that permeated the town. 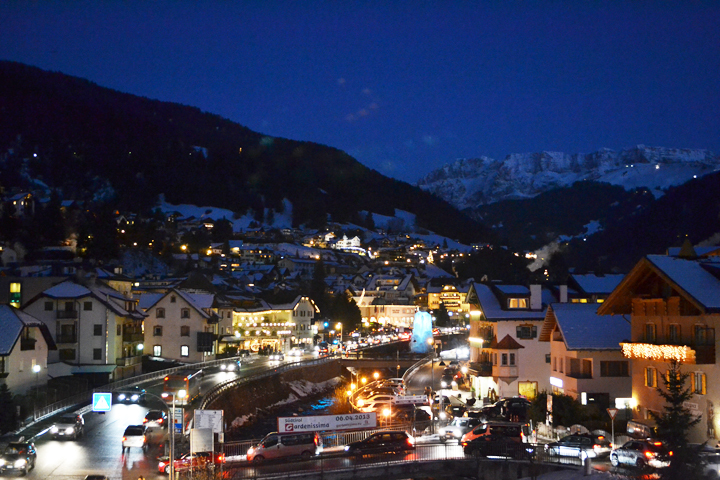 Ortisei has almost double the population of Selva and was bustling with people on a Wednesday night. 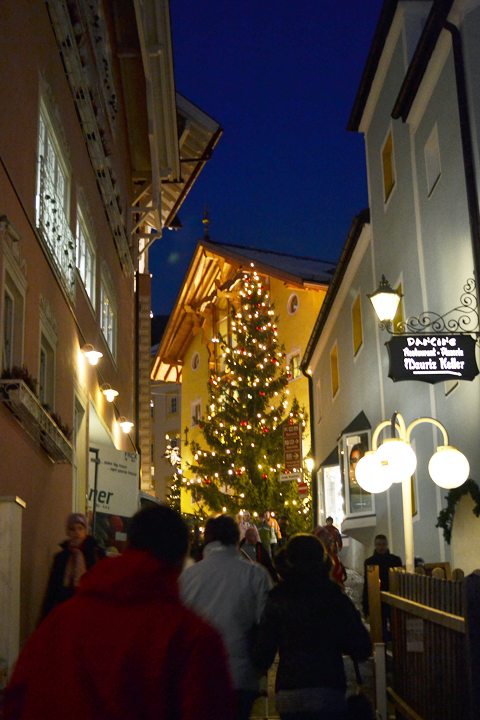 The streets were decorated for the new year with wreaths and lights and of course, the Christmas tree. Like you probably know, Italy is a very Catholic country that displays religious imagery very openly. Even as a Catholic, I felt a little uncomfortable with the number of crucifixes hanging outside shops and homes. But it only makes sense that this imagery is heightened during Christmas, the birth of Jesus. 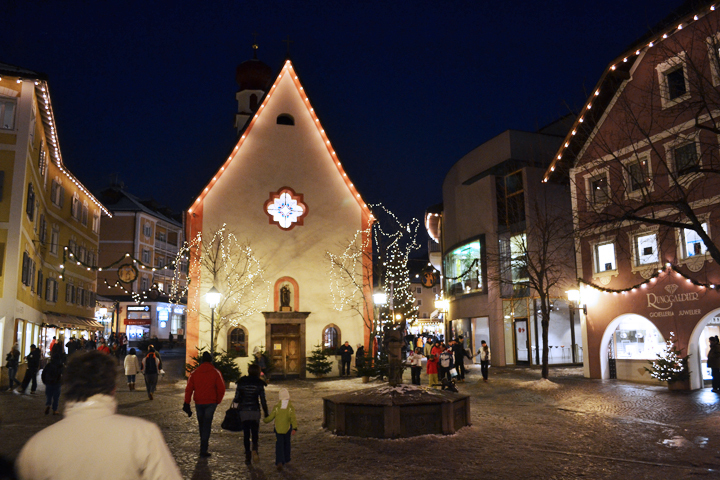 Although the religious imagery is very Italian, the architecture and vibe of Ortisei is still very Austrian. Just like Salzburg, Ortisei has some wrought-iron guild signs hanging above the shops. The buildings are also decorated similarly with pastel colors, paintings of German influence, and wood trimmings. It made me long for Salzburg in a bad way. I cannot wait to return to Austria. We took our time to stroll around the town, entering small shops selling cheese, cured meat, pastries, and souvenirs. We said a quick prayer in the small church in town square before buying some salami and parmesan cheese for the long trip back. I cannot get enough of the meat and cheese in Italy. The quality is incredible and the dense food warms me right up. Meat and cheese is the perfect calorie dense food for a cold winter in the Dolomites. Before leaving, we stopped at a cafe for more travel fuel. I was absolutely thrilled to see the menu boasting the same exact artichoke bruschetta from the hotel! After devouring the delicious bruschetta with a shot of espresso to follow, it was time to hit the road for good. We actually stopped again at a gas station restaurant perched over the highway for dinner. By that time I was already stuffed with bruschetta as well as chunks of salami and parmesan. I kept things small with a salad and promptly passed out in the car. When we finally arrived back in the Turin Province it was very late. 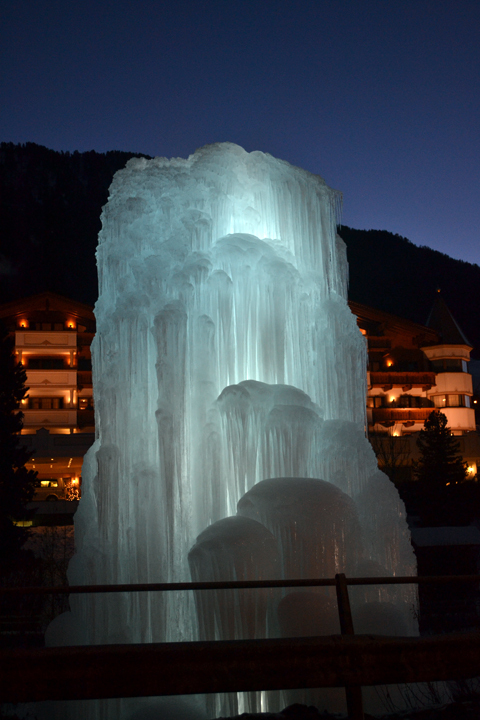 Val Gardena is without a doubt one of the most beautiful areas I have ever visited. It has amazing skiing and a distinct cultural ambiance. It reminded me so much of my beloved Austria and I know I will return to Italy again sometime in the future. Whether I am in China or Italy, I am always called back to the mountains of Central Europe. It runs through my veins.